PLCE Combat Order as originally published in the 2008-2009 Survival Aids catalogue. PLCE Combat Order consists of equipment designed to further maintain a soldier's operational effectiveness and survivability on the modern battlefield. 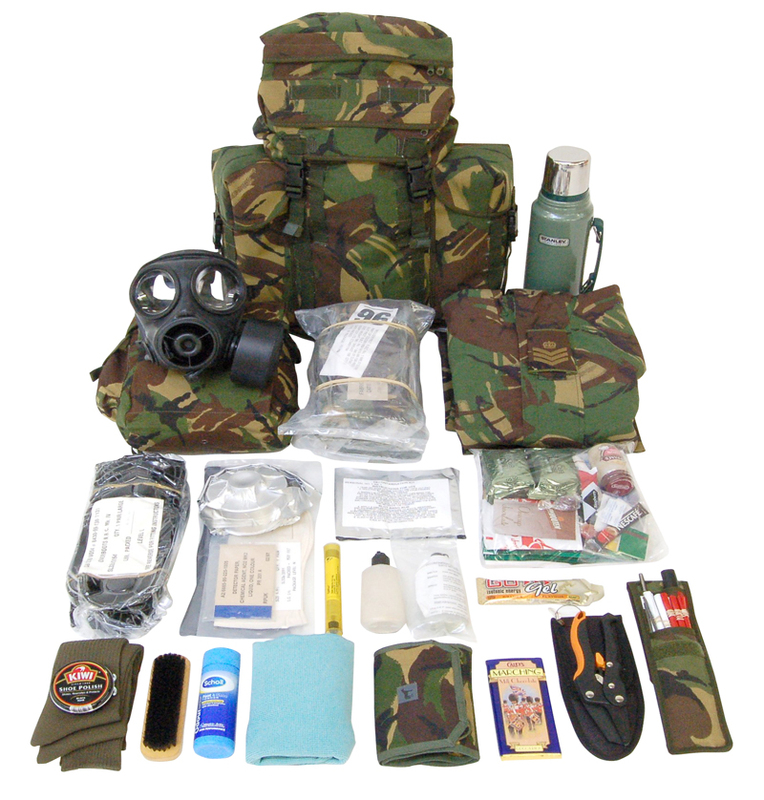 This includes items such as 24 hour rations, NBC equipment and personal hygiene products. The equipment shown should always be carried with PLCE Assault Order. The layout below is intended to be a basis for ideas. Click on individual items on image to find out more about them.